After managed to get a marvelous reaction of iOS users, the tech giant has revealed the Siri version for Mac. If you are a professional or you like to make planes, then Apple’s Siri will always help you to manage your daily things straightforwardly on your Mac. Apple availed the Siri for Mac with the macOS Sierra upgrade. Once you enable Siri on your Mac, you can easily manage your machine just like you do on your iOS device. Let’s find out how to enable/disable Siri on Mac. With the help of Siri on your MacBook, iMac or Mac Mini, you can see up-to-date weather, manage calendar, Bluetooth, Wi-Fi, brightness and other important settings efficiently. She knows everything that happened with your Mac and has recorded data that you Googled. She also knows your emails and messages details, She can also read your emails if you let her to do it. If you want to active Siri on Mac, then here’s how to do it. 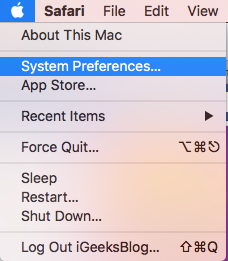 Step 1: Go to Apple Menu from the upper right corner. Step 2: Select System Preference from the menu. 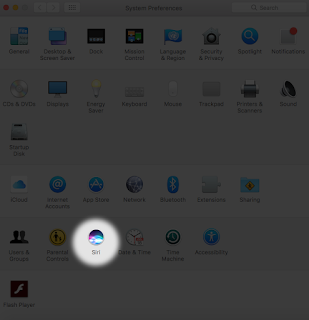 Step 3: You will see the new Siri icon in the control panel, click on it. Step 4: Check the Enable Siri option from the right pane. That’s it! 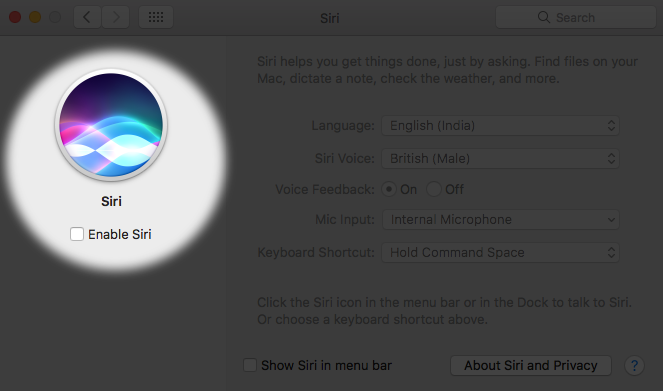 Now you can control all things simply just by saying “Hey Siri” on your Mac. She will always help you to set your everyday schedule and alert you about your upcoming events or meeting. Enjoy the company of the Siri-voice assistant on your Mac and makes your life smarter and cooler. Once you enabled Siri on your Mac, it will show up at the top right corner of the menu. If you do not want someone to use Siri on your Mac then you can uncheck “Show Siri in menu bar” in the Siri setting and set your own command key by pressing Command and holding + select your favorite key from the keyboard. On the other hand, some people don’t use the Siri on their computers, they found it useless. 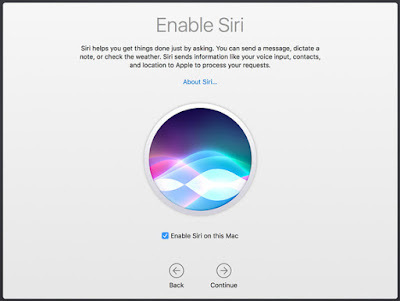 If you are one of them, then you can easily turn off Siri on Mac by following below steps. Step 1: Open Apple Menu from the upper right corner. 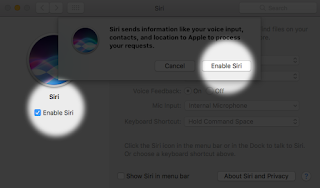 Step 4: Uncheck the Enable Siri option from the right pane. Remember that once you disable Siri on your Mac, then you will not be able to use its features on your computer. That’s was the process to enable/disable Siri on your Mac. If you have any questions regarding the steps, feel free to ask us in the comments.